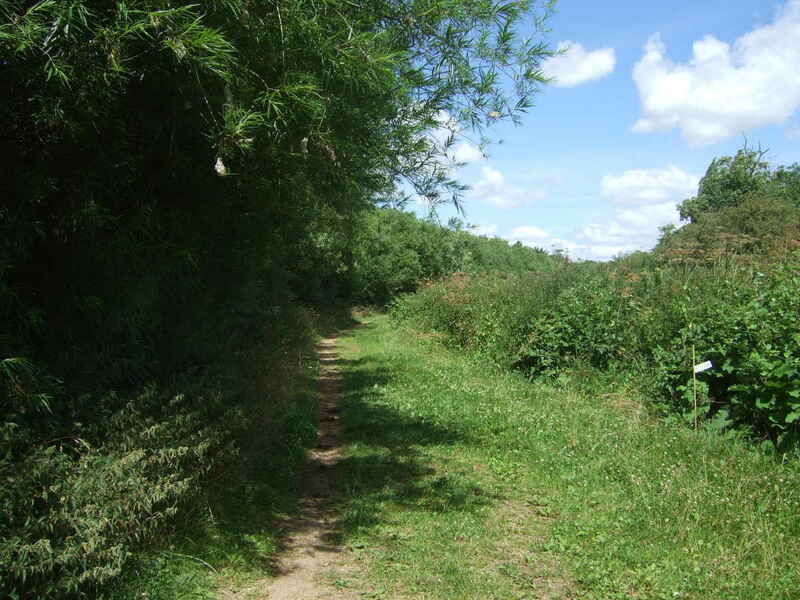 There are several paths around the lakes. The maps that are placed out at almost every intersection offer detailed information. They show you the most interesting parts of the area and the route to get there. The paths are different from each other, sometimes they are grassy, other times they are narrow or wide dirt roads. In some places you are allowed to ride a horse, too. And the whole area is cut into half by the guided busway and the cycleway that runs parallel with it. Be careful as there are quite a lot of nettles and in some areas mosquitoes will attack you. 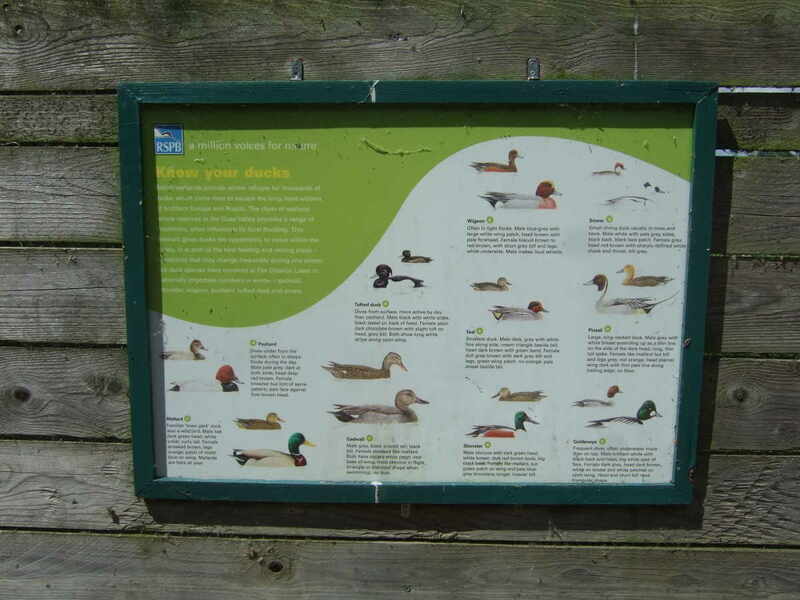 At every viewpoint you will find an information board describing that particular area, the flora and the fauna. And of course don’t forget to enjoy the views! 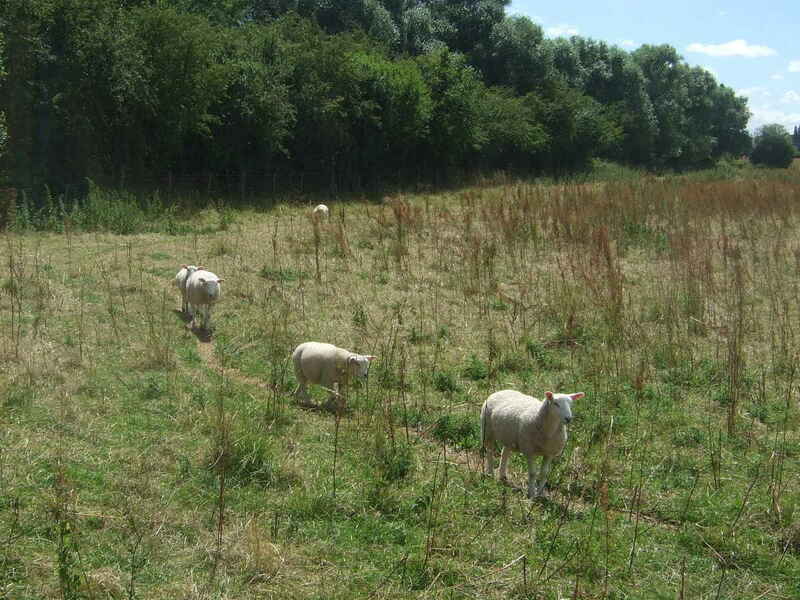 In a fenced area you may spot a few very friendly sheep. They come very close and stare at you before they hide in the shadow of a tree. 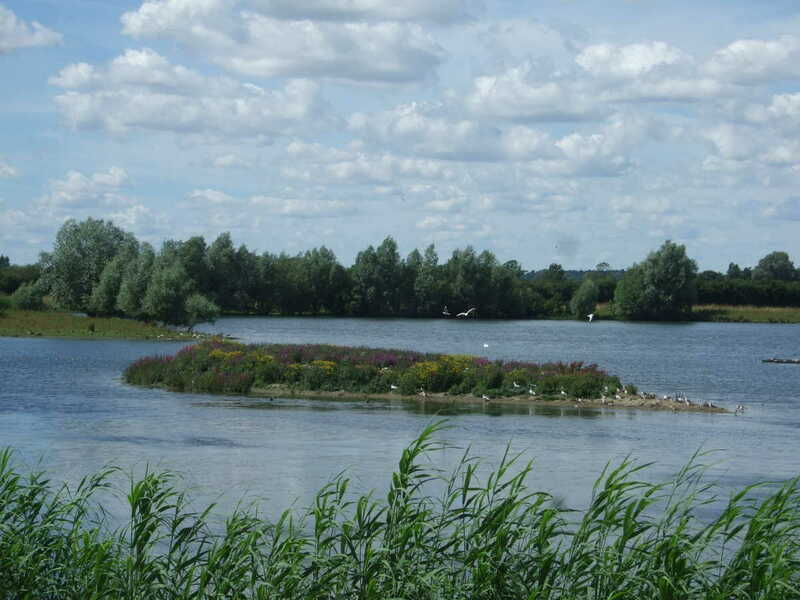 One of the most beautiful parts of the Fen Drayton Lakes is this little island, full of birds. 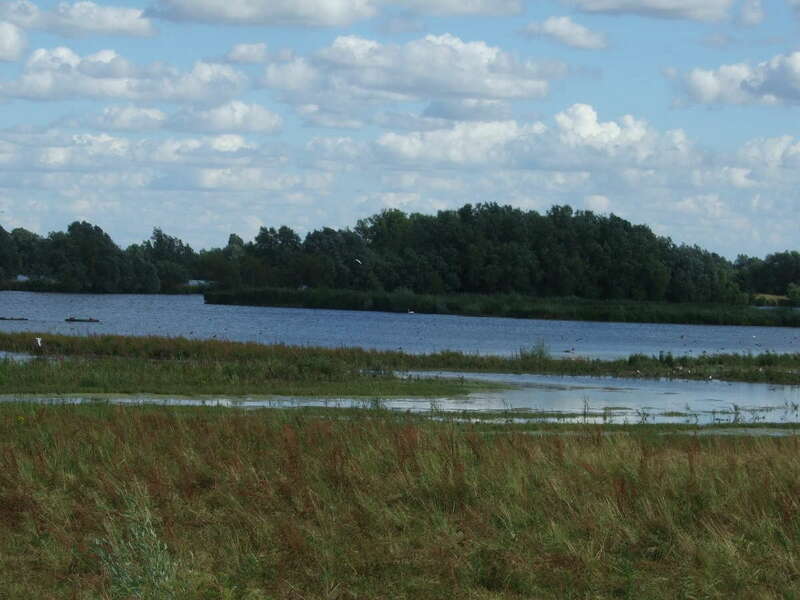 There is a nice birdwatch just a few meters from it from where you can watch the birds without scaring them. 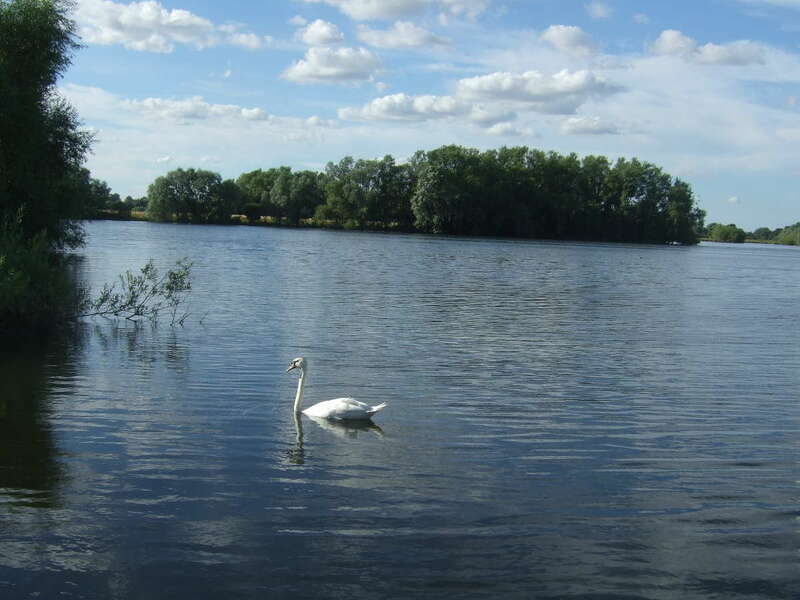 The northern part of the area is bordered by the Great Ouse river. 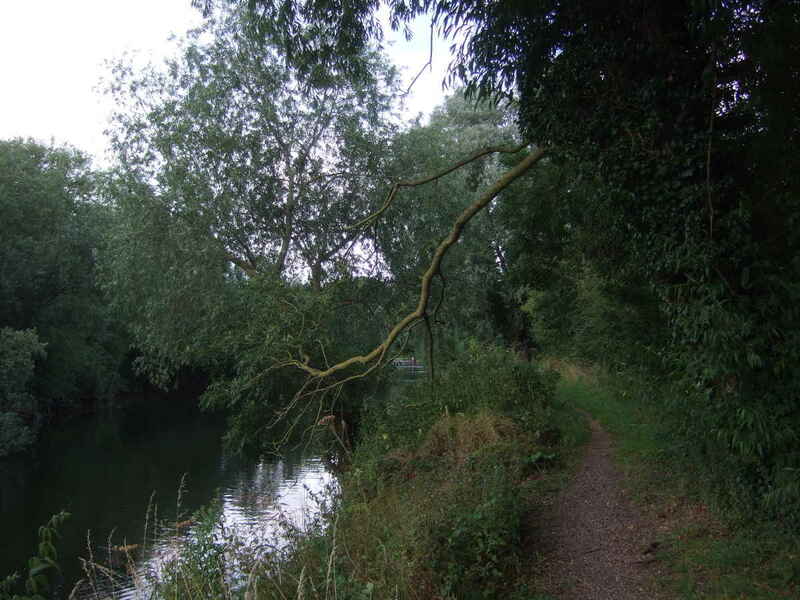 The path goes next to the river for hundreds of meters. 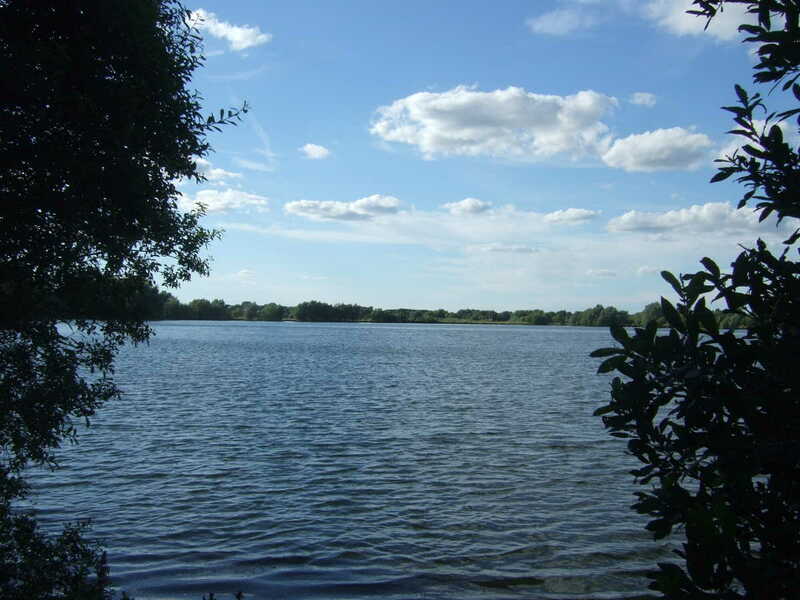 This is the view from the most northern tip of the Fen Drayton Lakes. 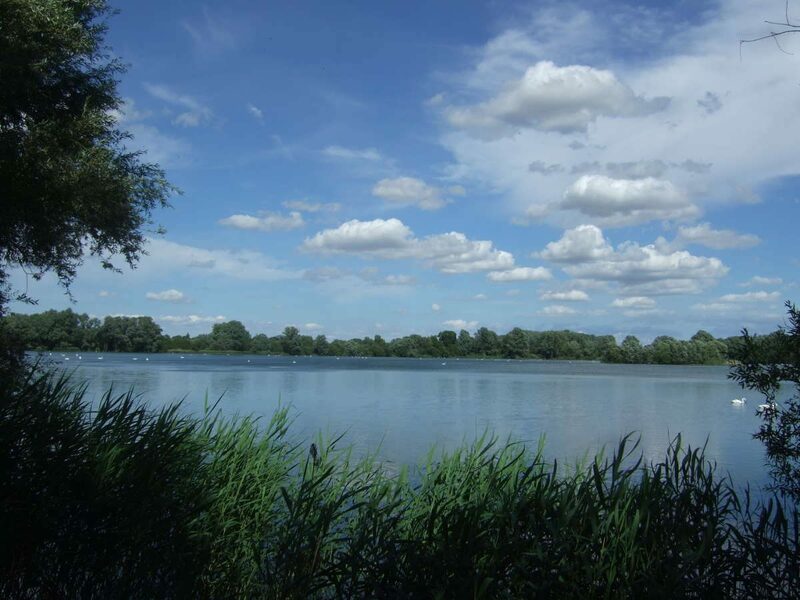 As you can see every lake is unique, some are deep, others are shallow and full of reeds and other plants. There is a small portion of the path full of cattle. Although they are friendly and probably won’t hurt you, I find it very annoying because of the droppings they leave everywhere. 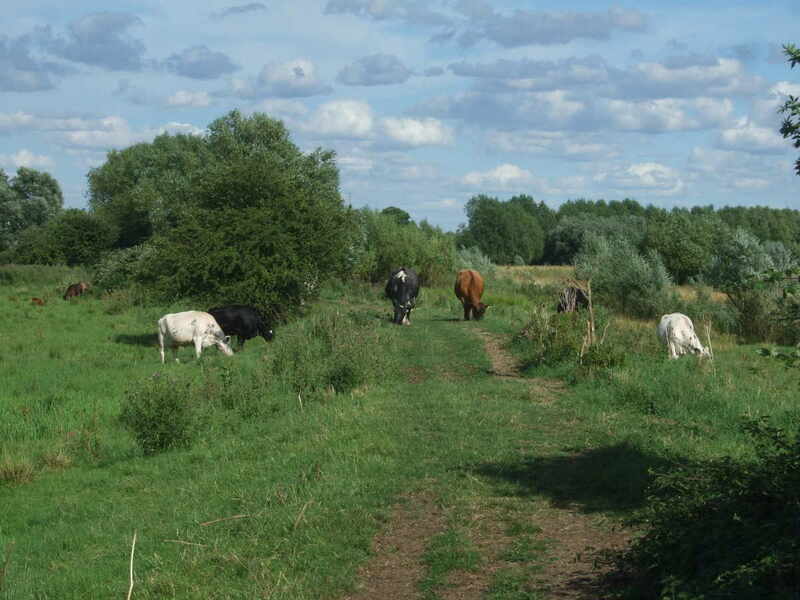 In England is very common that you will find cattle on public pathways. You will find different bird species at every lake. One of them is very popular among ducks and another one is full of swans. 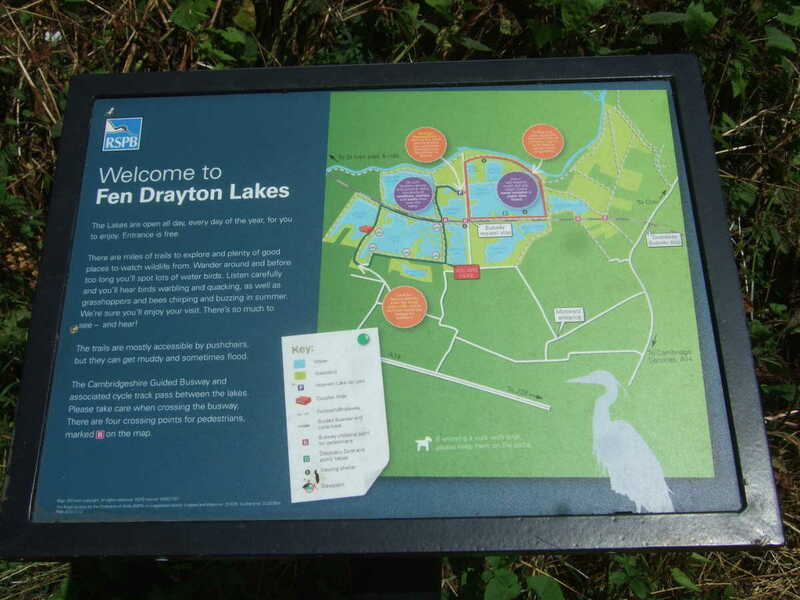 The Fen Drayton Lakes is a beautiful and actively maintained nature reserve. It is very quiet, even on a sunny summer day you will meet probably less then twenty people. Although you can walk around the main paths in less than two hours, it is recommended to spend more time here and enjoy every little detail of nature.